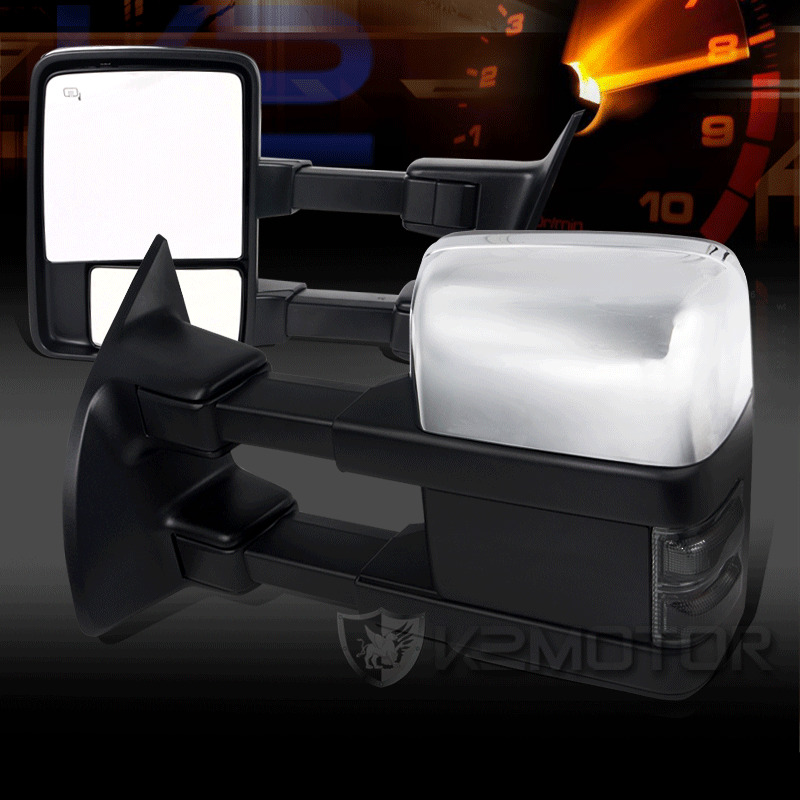 Product: 2011-2016 Ford F250 / F350 / F450 / F550 Super Duty Power Towing Extended Mirrors with LED Signals(Black/Chrome). Descriptions: Add these stylish new mirrors to your truck for that extra personalization. These Mirrors are made to increase visions in blind spots especially if you are towing a camper or trailer in the back of your truck.